We know that we have different type of specialist doctors to treat us. But some of the department of medicine are not familiar to us unless and until we have a problem and we reach the hospital to take treatment. Many of us do not know whom to approach, if we have some health issues regarding certain parts or organs of our body. Human body is always a question mark before us and each part or organ needs care. Most of the people in the world usually harm their own body by not paying proper attention when have any kind of health problem. Usually women are the ones who do it often. But while doing it please remember that a healthy mind can be found only in a healthy body. We would like you to be aware of the department of specialist doctors and also to know whom should you approach for each part or organ of the body. When you have a fever or when you feel sick and do not know what kind of sickness you have then you will need the help of a general physician for your help. This doctor will help you with the diagnosis and further treatment. He will be able to guide you to lead a healthy life. Also he can of course make you understand to which route of medicine or which department of medicine you need to approach for further medication. These are your friendly neighborhood doctors who are general physicians, and treat patients of all ages and medical non-emergency conditions usually in their clinic. They are even known as family practitioners. A Paediatrician is a doctor who treats medical problems of infants, children, and adolescents who treats children. He/ She is the one who will need patience because you know how much patience is required to treat children. For any kind of sickness of children you need to consult a paediatrician. In Paediatrics itself there are many specialist doctors like paediatric surgeon, paediatric cardiologist and the like. He/ She will help you to solve all your worries and doubts regarding the growth, diet and anything and everything of your child’s mental or physical issues. A neo natologist is a doctor that provides medical care to premature and critically ill newborn babies. All the good hospitals over the world has a department named Neo natology. This department consist of specialist nurses too, who has got special training on neo natology. this department is dealt with utmost care and safety. Cardiologist is a doctor who deals with all issues relating to heart. These are doctors of the heart who diagnose and treat heart diseases and cardiovascular diseases. Please do not ignore to consult a cardiologist if you feel a left chest pain or ant disturbance on your left hand. A chest pain may be because of some gastric problem but please do not treat yourself. Even a grievous disease can be treated and cured when it is found and given treatment at the right time. We have different types of cardiology doctors. That is you ave paediatric cardiologist, cardiac surgeon etc. if your child have any heart issues please rectify it then and there. Also there are many diseases that can affect heart badly. A main disease is Kawasaki disease that is mainly seen in small children. The best paediatric cardiology department in Asia is located in Kochi, Kerala (which is known as the Queen of Arabian Sea), that is the Amrita Institute of Medical Sciences. The doctor who is concerned with the skeletal system of the human body, that is, bones. Orthopaedic doctors are doctors who deals with all kinds of diseases or problems relating or affecting bone. Any fractures or dislocations of bones can be treated by a orthopaedic doctor. There is also orthopaedic surgeon who perform surgeries that is related to bones and joints. Any pains in joints or bones are treated by orthopaedic doctor. They advice exercises for each kind of joint pains. Make sure that you do not have any fractures if you fall down somewhere. Each person have different lifestyle and diseases or disorders associated with that. Thus each one needs different kind of exercises and medicines. That can be prescribed and advised by a orthopaedic doctor. Do not ignore the smallest injuries too. They also deal with diseases of bones like spondilosis, arthritis etc. A dermatologist studies the skin, its structure, functions, and diseases, as well as its nails, hair, sweat glands and treats the related ailments. Thus such a doctor treats the largest part of our body, that is the skin. A skin disease may be the result of any allergies or any other internal issues. Eczema is a common skin disease that is caused due to allergies or dry skin. Any rashes or the like can be treated by a dermatologist only. A skin specialist can help you to find the reason for the problem and find a solution for it. Do not ignore a skin disease or rash because it may be a symptom of a disease in you. Even a minute problem of dry skin can be worse if it go ignored. Dermatologist can give you proper advice on maintaining of your skin. A healthy skin is the symbol of a healthy body. Moreover a glowing and smooth skin is always a secret pride of each person. These doctors help in treating different kinds of allergies. They also deals with immune system disorders like hay fever, asthma, etc. they help us in finding the allergic substance and treat the after effect of the allergic substance. An allergist can advise on what to have and what not to have. Usually people do not understand the cause of several health issues but an Allergist can help you on this. Asthma and some skin disease may be the after effect of some allergy. An allergy may be from any foreign substance in the body. An Ent specialist is the one who deals with all problems relating to Ear, Nose and Throat. An ENT specialist is also known as otolaryngology.All ENTs are not ENT surgeons. A cold or flu can be best handled by an ENT because the cause or affect of cold may be from throat or Ears or Nose. A tonsillitis is the best example to get the treatment of an ENT. There is no better specialist than him to give you a treatment relating to Ears, Nose and throat. It is not wise a decision to ignore such issues. A normal fever may be a result of some issues relating to these organs. And always keep in mind that ear drum are the ones those help you stand straight or else you will fall down if there is fluid imbalance. Any issues relating to tooth and gums are treated by a dentist. A dentist is a doctor who cares our tooth and gums. Any kind of treatment for them are given by dentists. Root canal treatment, teeth implantation, tooth crowning etc are done by dentist. A proper gum care and tooth care helps you maintain them in good condition for a life time. It is better to get proper chech-ups regularly. 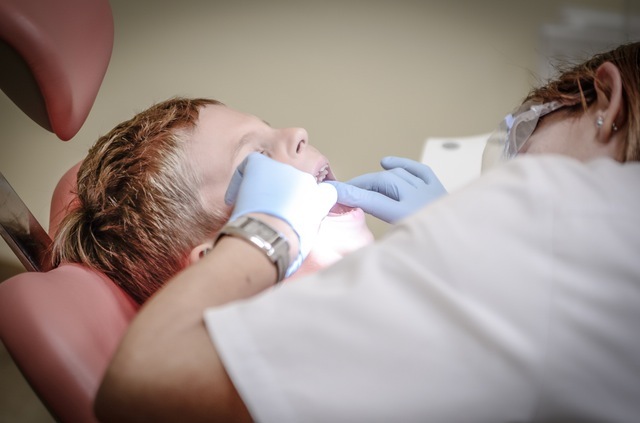 Also it is better to get advices on children’s tooth care as early as possible. Even the gum care of infants are the laying stone of their lifetime tooth care. As you all know the most common disease that exist among the people around the world is tooth decay. As the science has developed so much there is vast change in dentistry too. Now a days we can shape our tooth in the way we require. For that we have the maxillo facial specialist. We will discuss about it in the coming posts. They also deals with all issues relating to nerves. Normally other doctors like physicians or orthopedician refer patients to neurologists. A neurologist can diagnose the issues in the nerves and can solve it. Some blocks in the nerves can lead to disability of some parts of the body. The nerve blocks can be a symptom of some serious problem. If you feel that your nerves are bulging with pain please do consult a neurologist as early as possible. Gynaecologist is a doctor who studies and treats diseases of the female reproductive system. All uterus related problems are dealt by a gynaecologist. Such doctors are the ones who do regular check-ups during pregnancy period. Also any uterus problems, menstrual disorders or infertility issues are treated by a gynaecologist. Assistance of a gynaecologist is required even after delivery of a baby. Any kind of bleeding in an unexpected situation or a heavy bleeding during menstrual cycle should be treated by such doctors. Even the mental tension related to menstrual cycle are to be checked by a Gynaecologist. Obstetrics is a part of gynaecology. These doctors are experts with childbirth, C-sections, gynecological surgeries like hysterectomy, surgical removal of ovarian tumors, examination of the pelvic region, PAP smears, prenatal care, etc. They also deal with high risk pregnancies. Almost all gynaecologists are obstetricians too. These are doctors who specialize in treatment of the diseases and health problems related to geriatric, that is, older people or old age related problems. They provide comfort to the older ones in our family. Any of the older ones in our family require any treatment it is better to consult a geriatrician. They are normally physicians who has specialized in treating the older people. They know how to deal with the old ones mentally and physically. Those who take care of the old ones in the family can get advises and training on dealing with them. They are doctors who takes care of eyes and treats various eye problems and performs different eye surgeries. They are usually known as eye specialists. An ophthamologist treats all illness related to eyes, such as synasitis, headaches due to improper vision etc. they can advise you on eye care and its dos and don’ts. Regular eye check ups are required for a normal person in regular intervals. They even do the eye transplantation. Audiologists are doctors those help patients with different ear and speech problems. They also help children those who are deaf or who does not speak to communicate. They conduct speech therapies also for those who has speech issues. They are the ones who hold hands and pull them to the world of communication. If you feel your near one is having some ear issues or speech issues please consult an audiologist to rectify the issue and get it treated. Getting treated by the right person is the right way to get rid of the problem. An Andrologist is a doctor who treats diseases or disorders of the male reproductive system. He helps in the correct diagnosis of diseases or disorders regarding the reproductive systems, both internally and externally. When there is a reproductive issue in your family life it is always better that both husband and wife consult an expert. In that case husband need to consult an a specialist that is andrologist. An anesthesiologist is a specialist who administers anesthesia and its medicines. They study anesthesia and anesthetic medicines that helps in facilitating treatment, diagnosis of medical conditions and complete minor and major surgeries. It is almost impossible to conduct a surgery without the help of an anesthesiologist. He is the one who helps the patient to be unaware of the pain of surgery while it is being performed. It is dangerous to administer anesthesia with out an anesthesiologist’s help because the reaction of asesthesia is unpredictable in each case. Each case is different from other’s. if you have any questions regarding anesthesia it is always better to ask an anesthesiologist. An Endocrinologist is a specialist doctor who studies disorders of the endocrine system and their glands. He/ She will look in to the issues like thyroid problems and other such hormonal imbalances and the specific secretions of hormones. Any kind of hormonal imbalances which causes different health issues in different persons can be diagnosed and treated by an endocrinologist. An endocrinologist will determine the exact treatment after the diagnosis, which is done through blood tests, MRI scans or ultra sound scan. Any kind of foreign subject in the pituitary gland can cause the rise in prolactin hormone which will result in irregular menstrual periods. So if you feel that you are having a hormonal imbalance please consult your nearest endocrinologist to find out the exact reason behind. Epidemiologist are preventive doctors. They conduct studies on different types of diseases, their cause, symptoms etc and find a way to prevent them. As the saying goes “prevention is better than cure”, is literally true in their case. They are the doctors who are also known as ‘disease detectives’. They do carry out study of diseases and come up with ways to prevent diseases through vaccinations, etc. they usually does not treat the patients directly. But they will deal with all diseases with other specialists so that they become aware of the cause individually and independently. Gastroenterologist is a specialist doctor who deals with the gas formation due to improper digestion or the like. Thus they are the doctors who studies diseases of digestive system and gives treatment. Gas formation in the stomach isa very annoying issue as far as each person is concerned. There will be no person who have become the victim of such disorders. You can never predict how will that come out. It may appear like a stomach pain or when that moves to chest it may appear as chest pain or a melting feeling inside chest. Ah…what so ever it is a very bad feeling. Anyways this may be the result of some issues related to digestion. Gastroenterologist doctor will find you the reason and he will help you to get rid of it. Neurophysiologists are doctors who diagnose disorders affecting the central, peripheral and autonomic nervous system. They, the neurophysiologists carries out clinical evaluations and conducts electrophysiologic testing to diagnose the underlying conditions. He is a is a medical professional who specialises in the investigation of neurological diseases, in order to discover nerve activity and neuromuscular damage. A neurophysiologist would require to measure electrical activity of nerve cells in the brain to ascertain what conditions are affecting the patient. They diagnose and treat conditions such as neuromuscular disease, epilepsy and nerve entrapment. Neurosurgeons are surgeons who treat central and peripheral nervous system diseases that can be cured or controlled to some extent with mechanical intervention. Neurosurgery is the speciality that deals with the prevention, diagnosis, treatment, and rehabilitation of disorders which affect any portion of the nervous system including the brain, spinal cord, peripheral nerves, and extra-cranial cerebrovascular system. A neurosurgeon is a well trained doctor who has a focus on conditions affecting the peripheral nerves and the main nervous system. This doctor will work on areas of the body that include the brain, the spine, potentially the arteries in the neck, and the nerves in the body. Since the neurosurgeon is a surgeon, they usually focus on surgical methods of treating disorders of the said areas of the body, though these doctors may also consult on whether surgery is required, and they may perform other minimally invasive or non-surgical procedures as required. An oncologist is a specialist doctor who treats cancer patients. Oncology is a branch of medicine that deals with tumors, including study of their development, diagnosis, treatment, and prevention and thus oncologist are the ones who deals with the said branch of medicine. We have different sub-specialties within oncology medicine department. Moreover, oncologists usually develop an expertise in the management of particular types of cancer. Oncologists can be divided on the basis of the type of treatment provided. Surgical oncology is the treatment done with a surgery in which a tumor removal is done. Interventional oncologists are those who specialize in minimally invasive image guided tumor therapies. Gynecologic oncologist usually deals with cancers of the female reproductive system. A hematologist is a specialist doctor who studies about blood and the related diseases. He is a physician who has specialized in treating conditions that involves the blood. A hematologist studies the blood and tissues which form blood, such as the spleen and bone marrow. Blood disorders that are genetic such as hemophilia and thalassemia can be treated and managed by hematologists and also blood cancers, that are typically treated by a doctor who has specialized in oncology hematology. They also deal with things like blood transfusion, stem cell transplants, and bone marrow transplants. If there is a treatment that involves blood, a hematologist is the doctor for it. Study of hematology includes the identification, treatment, and management of blood disorders, along with preventative care. Early diagnosis and treatment is best thing to do in hematology so that complications can be prevented by the timely intervention of doctors. What is Wind Farm and its different types ? What is a windmill and its different types ?